Cayley Hallahan will bike across America this summer, only two years after undergoing open-heart surgery. For many people, their twenties are a time of limitless possibilities and challenges to overcome. But a life-threatening illness is a challenge that would dampen optimism for many of us. Six months after graduating undergrad, and three months into her career as a middle and high school science teacher, Cayley Hallahan found out she had to undergo an open-heart surgery called the Ross procedure, which involves an aortic valve transplant. Hallahan, now a graduate student at the Warner School of Education, grew up knowing she had a heart condition. (Aortic stenosis, to be specific.) She had some restrictions, but was always active, and to her, life was normal. The only limitations she remembers were in gym class, where she couldn’t participate because of school liability. In December 2016 at an annual checkup, doctors determined that Hallahan had to have surgery for her condition. She was shocked and scared, both for her career and the procedure. In her words, she felt like a ticking time bomb, constantly trying not to overexert herself. Her surgery was on March 17, 2017. The surgeon assured her that she would be in better shape than before, going so far as to say she could run a marathon. After surgery, she spent six weeks in rehab. Constantly feeling like she had the wind knocked out of her, Hallahan practiced breathing and walking, going from a few steps at a time to a few blocks, all while repeatedly assuring herself that she was getting better. With the surgeon’s words in mind, she and her entire family set the goal of running a half marathon together. Seven weeks later, she returned to work. Six months later, she ran a half marathon. With a “new take on life,” Hallahan felt invigorated. She grew up knowing she couldn’t fully exert herself, but now her body was the “greatest instrument” she would ever be given. She decided to become a teacher because of her love for learning and the gratification of the “lightbulb moment” in students. Her teaching experiences soon led to an interest in the systemic issues in education, namely inequality in school resources, social emotional trends such as trauma-informed practice, and how policies can help mitigate the effects of poverty and domestic instability on a student. Hallahan continues this interest in social justice in the Rochester Center for Community Leadership as a graduate assistant working to create programs about the history of the Rochester community and its political implications. 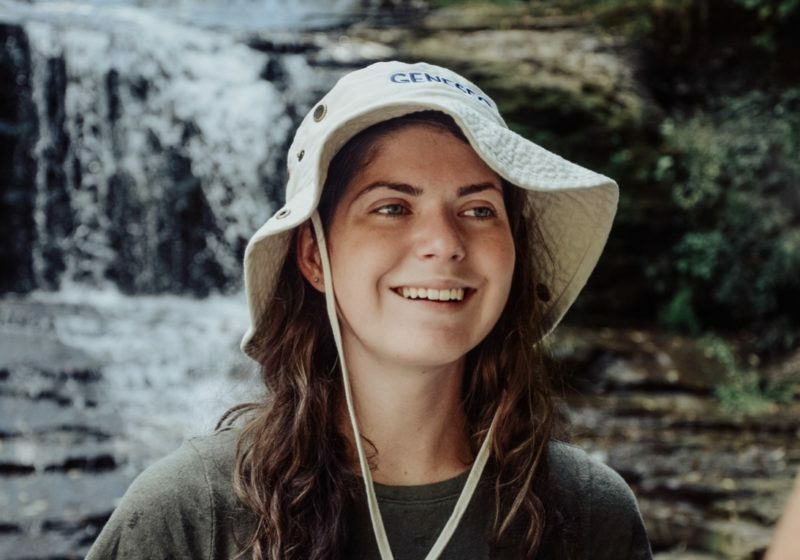 After her graduation this May and two years after the surgery, Hallahan plans to bike across America with an organization called the Ulman Cancer Fund, a 4,000+ mile journey from Baltimore to San Francisco. She will bike up to 70 miles a day, visiting patients at local hospitals along the way, raising scholarship money to help young cancer patients continue their education. There are many things that Cayley Hallahan attributes to her recovery. She lives by the motto “follow passions and choose joy,” knowing that although life can be tough, what matters is how you respond. She is also grateful for the strong support she received from friends and family, great doctors, and a precious heart valve from an organ donor. “I’ll never know if they were a boy or girl. I’ll never know their race, age, religion or their sexual orientation, but I do know that they saved my life,” Hallahan said.